Ram is a 38-year-old male. He had stomach pains for about 3 months. His stools were hard and sometimes were blood stained. He went to a private hospital and did an X-ray. The doctor found nothing wrong with him. But his problems still persisted. Ram went to another private hospital. 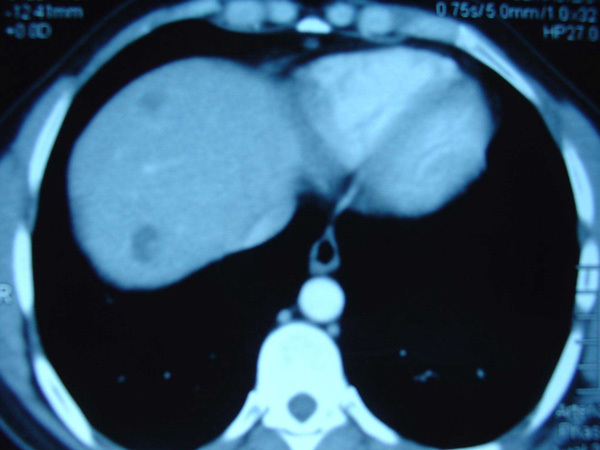 A CTscan on 17 April 2007 showed a 3.5 cm mass at the recto-sigmoid junction. There were multiple nodules approximately 10 mm each in Segments 6 and 8 of the liver. These represent liver metastases. Ram underwent an operation to remove the tumour in his colon. Later, he underwent a second surgery for his liver. In addition to the surgery, Ram also received six cycles of chemotherapy. 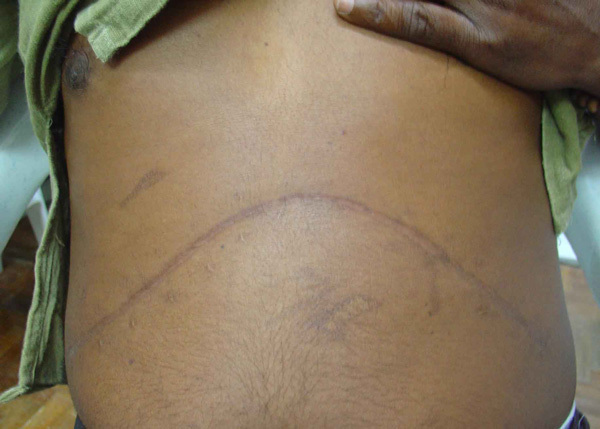 He suffered severe side effects from this treatment. When asked if he would want to undergo more chemotherapy, he sheepishly smiled and said: No – never again. Besides the nasty side effects, Ram suffered erectile dysfunction. In addition, Ram also received eight cycles of Xeloda, an oral chemo drug. Each cycle consisted of 14 days on Xeloda followed by 7 days rest. 1. Normal CT of chest. 2. Normal CT of abdomen/pelvis. 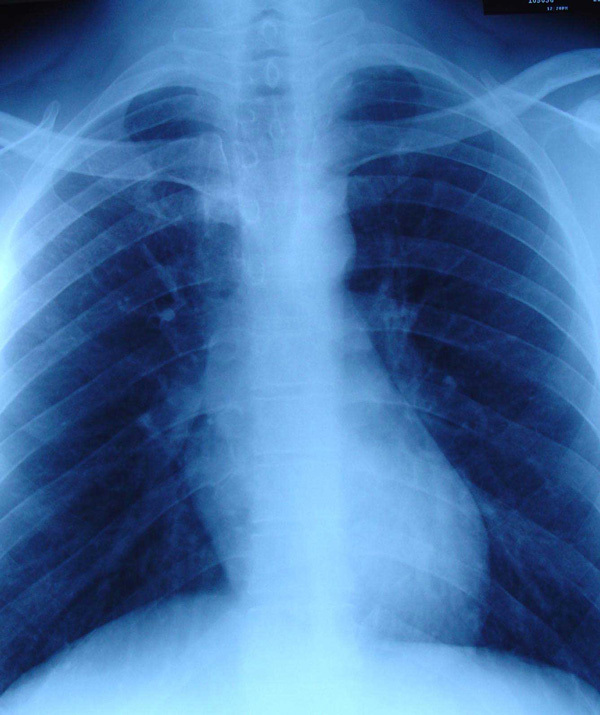 1. multiple peripheral nodules in both lungs, predominantly the upper lobes. Conclusion: lung metastasis. 2. the liver is of normal size and shape but there are multiple enhancing lesion throughout.Conclusion: liver metastasis and paraaortic lymphadenopathy. The doctor asked Ram to undergo more chemotherapy. This treatment would cost him RM 30,000.00. Ram refused. All in all, Ram’s employer had already spent about RM 70,000.00 for his treatment and the company was not prepared to spend anymore money on his treatment. And with his condition, it is most likely that Ram might even loose his job. 1. What do the 2 operations, 6 cycles of chemo and 8 cycles do to this young man? Any good has come out of this medical adventure? 2. Is it really necessary to do the colon surgery, given the fact that he also had liver metastasis? 3. Is liver surgery any use for him? 4. Patients under expensive medical treatments with the full expectation what they are going to be cured – but is there such thing as cure? 5. All said and done – don’t you think that we are all just play acting?